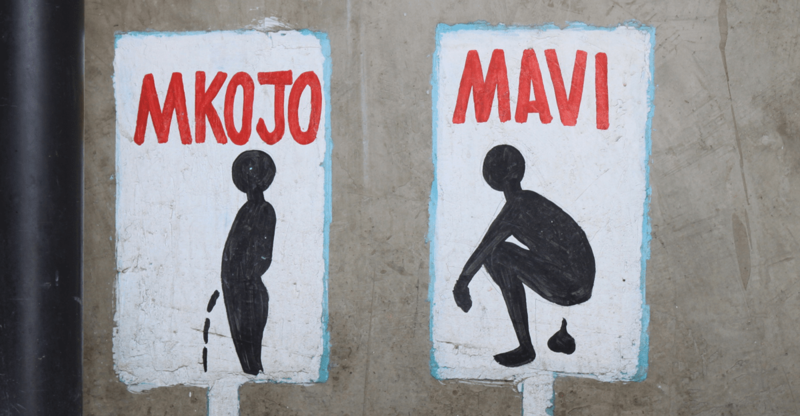 “After I came back from the field trip, I looked up some visual graphics that explain Ecological Sanitation. During the trip, I thought that ‘Ecological Sanitation’ and ‘UDDT’ sounded too complicated and not appealing to customers/users. That is why I wanted to find some easy-to-understand and interesting visual representations or marketing cases to ideate some suggestions for visual communication. When I was googling visuals, my thoughts were confirmed: the results showed up like the image below. I have to admit, that the pictures I saw at first glance made me afraid of clicking on and checking them out. That is why I think there is definitely room for improvement. For normal customers, these kind of images might be hard to relate to from their perspective. As the users are part of the ecological cycle provided by EcoSan solutions, UDDT is just one of the different types of toilets for them. Of course, the idealistic concept of the ecological cycle in EcoSan could be one of the unique selling points, but when you take into account the fact that the main target markets are in slums or informal settlements, the ideal (visionary) concept (value) of the product is not that important than its practical benefits. What would suitable graphic style and content for visual communications look like when talking about EcoSan? Maybe something like these memes?